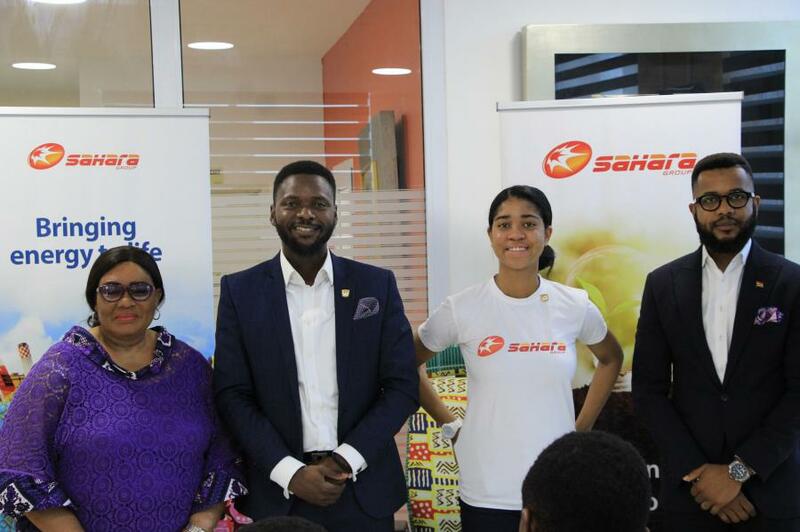 ACCRA, ACCRA, GHANA, June 29, 2018 /EINPresswire.com/ -- Energy giant, Sahara Group has appointed Zuriel Oduwole, a globally acclaimed Girl Education advocate as ambassador in its bid to accelerate the achievement of the triad of Sustainable Development Goals (SDGs) that focus on improving the access of children (especially girls) to education, fostering gender equality and creating more opportunities for girls across Africa. The leading energy conglomerate’s partnership with Zuriel’s Dream Up Speak Up Stand Up (DUSUSU Foundation) will target SDGs 4, 5 and 10 that seek to enhance access to Quality Education, Gender Equality and Reduced Inequalities by 2030. Globally, there are 31 million fewer girls than boys in primary school. According to the UNESCO Institute for Statistics (2016), over 9 million girls of primary-school age are out of school in sub-Saharan Africa. The partnership seeks to promote access to education and economic empowerment through film-making and other activities. Sahara Group’s Head of Corporate Communications, Bethel Obioma, said the project will be driven by Sahara Foundation, the Group’s Corporate Responsibility vehicle. “This represents another major step for us at Sahara Group towards promoting the SDGs in Africa and across the globe. We believe the foundation for sustainable development rests on empowerment and access to equal opportunities for all children,” he said. Mrs. Gertrude Quashigah, the Deputy National Coordinator of the Ghana Schools Feeding Programme (GSFP) who graced the occasion, said she was “encouraged by Zuriel’s role in empowering the girl child and for promoting gender equality”. She commended Sahara Foundation for the initiative and reiterated government’s support and commitment to using education as a development tool for lifting millions out of poverty. Bubune Mensah, a representative of the Manhean Technical Secondary School Tema, who spoke on behalf of her colleagues, commended Sahara Foundation and Zuriel for introducing the students to filmmaking. “Now we are all able to produce our own films and document occurrences in our lives”. Sahara Foundation has implemented over a hundred and fifty programmes and initiatives across Africa reaching over two million beneficiaries in areas such as education, youth empowerment, capacity building, health and environmental protection among others. Sahara Foundation sits on the advisory board of the UN’s Sustainable Development Goals Fund and for years, the energy giant has been championing the need for collaborative efforts towards achieving the SDGs. Sahara Group is a leading international energy and infrastructure conglomerate with operations in over 38 countries across Africa, the Middle East, Europe and Asia. Sahara is a dynamic leader in various energy sub-sectors via its power (generation and distribution), downstream, midstream and upstream businesses in key regional and global markets.Sahara continues to explore new frontiers; creating innovative and sustainable ways of bringing energy to life through the unparalleled talent of the men and women who embody Sahara’s irrepressible spirit.Sahara Group is a member of the World Economic Forum - Partnering Against Corruption Initiative (PACI) where it collaborates with other leading global stakeholders to steer the course of transparency and integrity in international business practices. Sahara is also a foremost global promoter of the Sustainable Development Goals; giving wings to aspirations through the Sahara Foundation which coordinates the Group’s Corporate Citizenship interventions in education, health, capacity building, environmental protection and youth empowerment, among others.